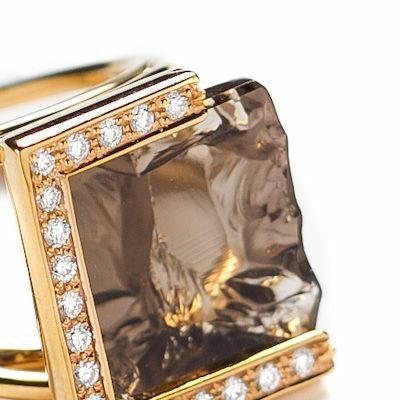 Jean-Marc Garel is one of France's greatest modern day jewelry designers. Ace Jewelers is proud to represent this brand exclusively in Amsterdam. The Cracked Tableur Ring is a true artistic piece. 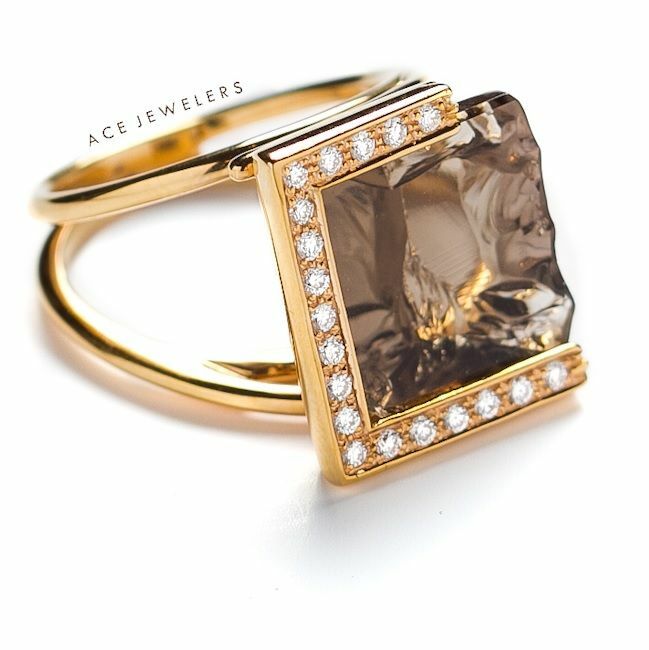 The natural Smokey Quartz stone is flat at the top and hand chipped at the bottom, which gives it its spectactular effect when wearing it. A real talking piece. 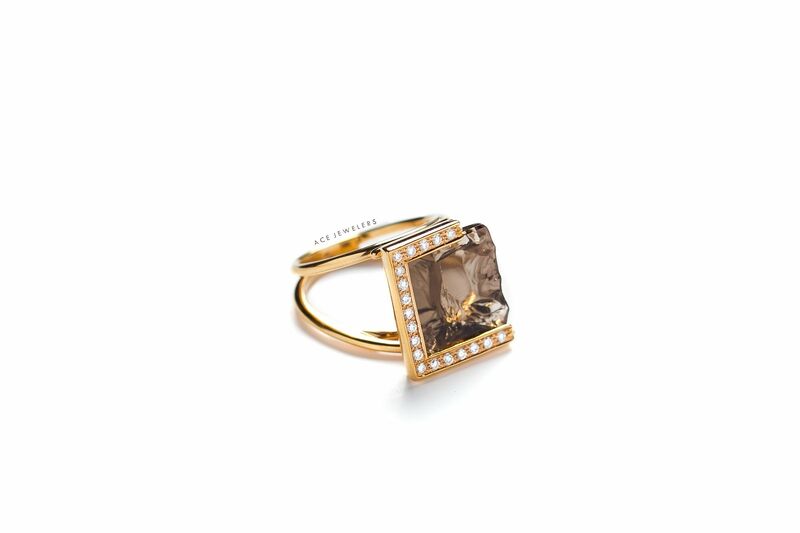 Set in red gold and accented with 0.29ct of brilliant cut diamonds this Cocktail Ring will make any party great fun.